Our Cookeville Mixed Martial Arts Classes are what happen when you combine the intense, lightning-fast strikes of Muay Thai with the unstoppable grappling & submission techniques of Brazilian Jiu Jitsu, and throw some other powerful martial arts in for good measure. You'll learn powerful technique. Get in the best shape of your life. Have a ton of fun with an awesome group of driven men & women. And watch your confidence soar. Get started now and let's get rockin'. If the thought of unstoppable grappling & submission techniques gets your heart thumpin'... you'll fit right in with our Cookeville Jiu Jitsu Family. Come check out our classes for yourself full of everyone from total beginners to people who have been at it for years. Our Cookeville Kids Martial Arts program is blowing parents away. Many parents enroll their kids thinking martial arts is simply self-defense... and they're happily shocked to find that their kids are learning incredible life-skills, too. 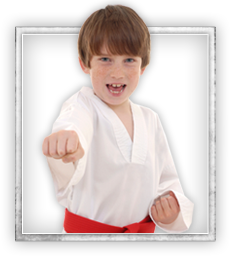 Our program helps children develop confidence, respect, courage and discipline. Parents - and teachers - notice a big difference from the first week. 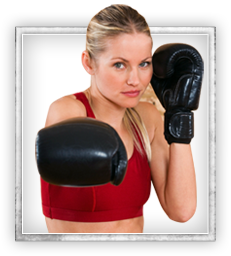 Cookeville Fitness Kickboxing Burn fat and tone muscle fast in these super fun kickboxing classes. Flatten your stomach, lean up your arms, and slim down your legs, all while having the time of your life. In fact, kickboxing is so fun our members say it's addicting. We have some of the best instructors you'll ever find, too. They're 100% committed to helping you to get into the best shape of your life. Get started today! Cookeville, Tennessee is a city in Putnam County, Tennessee, United States. Its population at the 2010 census was 30,435. It is the county seat of Putnam County and home to Tennessee Technological University. It is recognized as one of the country's micropolitan areas, smaller cities which nevertheless function as significant economic hubs. Of the twenty micropolitan areas in Tennessee, Cookeville is the largest; the Cookeville micropolitan area's 2010 Census population was 106,042. Cookeville, TN, with surrounding areas in Algood, Monterey, Baxter, Crossville, Sparta , is home to Upper Cumberland MMA	, a Martial Arts facility focusing on programs in Mixed Martial Arts, Jiu Jitsu, Kids Martial Arts, and Fitness Kickboxing. If you live in the following towns of Algood, Monterey, Baxter, Crossville, Sparta then you are close enough to come train with us!